What If My Spouse Lies to Me About the Finances? Managing money can be difficult in any relationship, but it becomes even more difficult when one spouse is lying about finances. The lies could be anything from hiding specific shopping trips to more extensive lies about gambling or extra debt that has happened. Lying about the amount that you make or hiding savings accounts can also be examples of lying about the finances. When you discover that your spouse has been lying to you, it may cause you to be angry or hurt. This can be considered a form of infidelity and it may have a lasting impact on your relationship. Depending on the deception and the type of lie, you may even consider ending the relationship completely. Here is what you need to do if you find out your spouse has been lying to you about the finances. 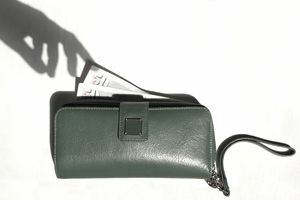 Before you confront your spouse, it is important to find out as much as possible about your current financial situation. This may mean going back and checking your bank statements over the past year to see if there is evidence that this may be a long-term situation. It is also important to have a general idea about the amount of money involved. When it is time to talk to your spouse you will then have specific examples and issues to discuss. It is important to have this discussion as soon as you can. However, you should do it when you are able to remain calm during the conversation. It may be a misunderstanding or a mistake. It is important to listen to what your spouse has to say about the situation. It may be a symptom of bigger issues like shopping addiction, a gambling problem or possible criminal behavior. Ask your spouse to be completely honest about the situation and to provide documentation to show that they have been. At this point, your spouse may bring up even more information or reveal more debts or issues that you did not realize that you had. Since each situation is different and each relationship is different, it may be a different answer for each relationship. It is often a good idea to seek counseling when dealing with a situation like this. The counselor can help you discuss possible solutions, mediate between the two of you and even help you determine whether or not it is time for you to end the relationship. Lying about finances and hiding debt and other issues break trust and it can take time to repair. The other related behaviors such as gambling or other addictions may be affecting your relationship in other ways as well and may make it difficult to continue to move forward. If you do decide to stay together, you may want to consider separating finances until your spouse is able to prove that the behavior has stopped. The best way to do this is to set up a household budget where you each contribute the same percentage of your income to cover basic household needs. However, the rest of the money should be kept separate from each other. In a situation like this, you still need to be accountable to each other about how the money is being spent. Your spouse may need to show you that he is paying off the debt or has stopped specific spending habits, and that means being able to see his accounts and other behavior. However, that does not mean that you should have your spouse be a signer on your accounts. It is important to set up clear expectations about what needs to be done to earn the trust back and rectify the situation. If debt is involved, it may be that the debt needs to be paid off completely as quickly as possible. If a shopping addiction was a problem, then regular attending a Shopaholics Anonymous meeting and seeking counseling may be necessary. If it is a gambling addiction seeking help to stop the addiction may be part of the process of rebuilding trust. The offending spouse may also need to temporarily give up control of household accounts until good behavior has again been established. If you do decide to stay married, then it is important that you reach the point where you forgive the person and it becomes a non-issue in your relationship. This does not mean that you do not still check up on the person’s finances, but as time passes, it may become more infrequent. It does mean that it is not something you continue to hold over his head for the next twenty years. However, this does not need to happen overnight and often only after the situation has been rectified. If you continue to hold onto the hurt feelings it can destroy your relationship. It may be that you have been lying to your spouse about some aspect of your finances. It is important that you discuss the situation with your spouse as soon as you can. It is better to confess what you have done wrong than it is to have your spouse catch you. Your spouse may be upset but may be willing to work with you to help you improve the situation, especially if you are honest and apologetic about what happened.